An existing corridor and break room were gutted and the area renovated as an improved entry to the library. 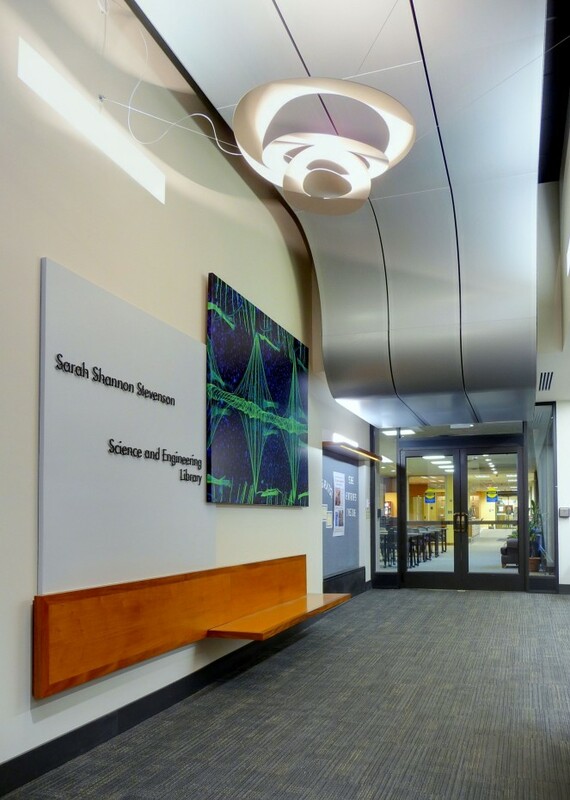 A curved metal ceiling was installed along with new lighting and signage. 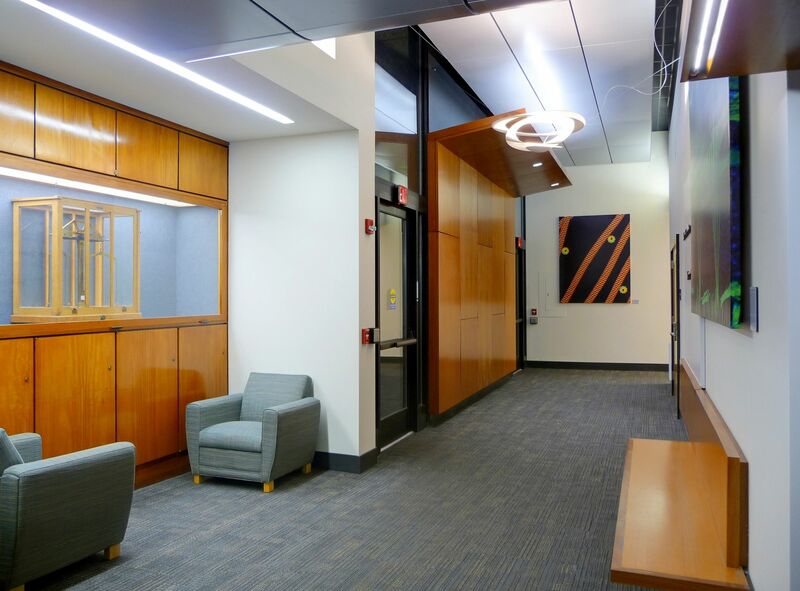 Existing display cases are integrated into the design, along with new seating and waiting areas for adjacent classrooms. 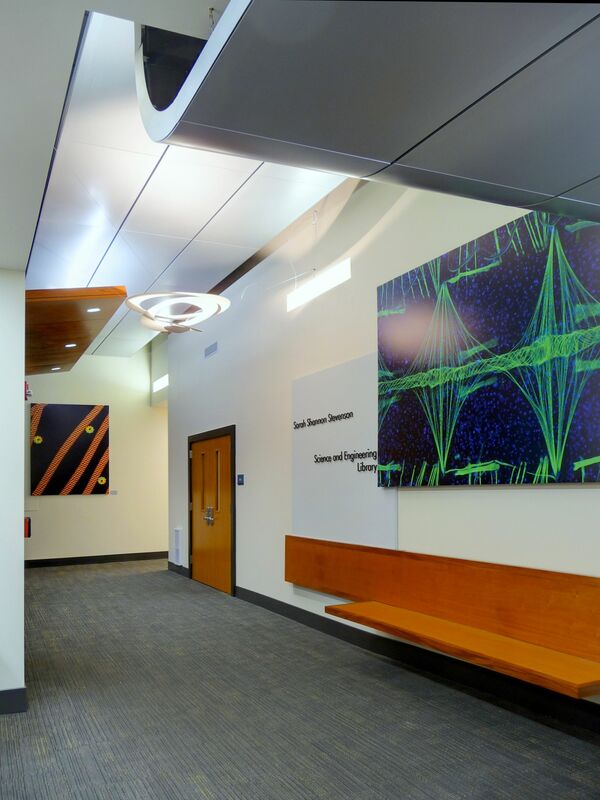 Large format reproductions of faculty research images are used as artwork in the space.